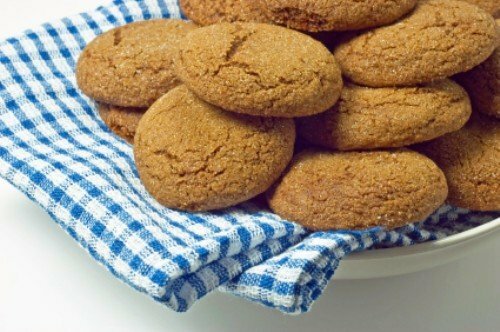 Gingersnap cookies are wonderful cookies to have in the fall. 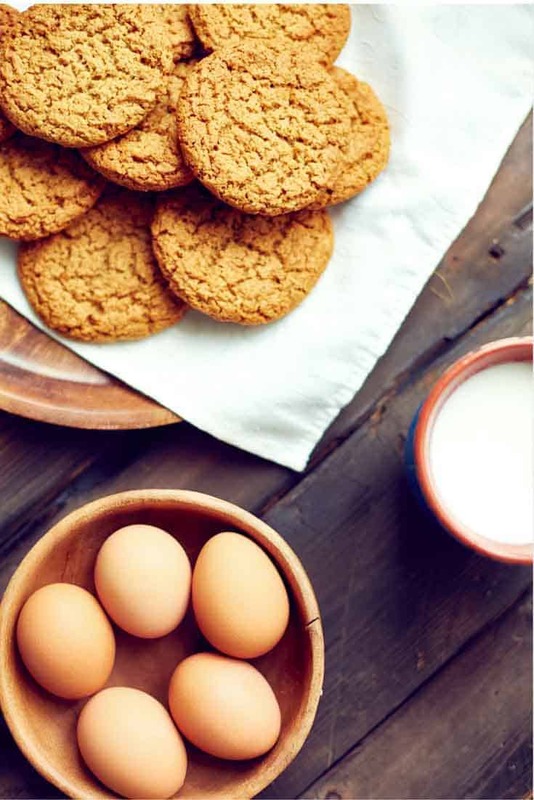 Crunchy crisp gingersnap cookies go perfectly with a cup of hot tea. If you have never had these, these are a slightly spicy cookie that has a little punch to it. I love to serve these with Sharon’s Pumpkin Dip. That pumpkin dip is a cream cheese pumpkin dip that you are certain to love. It is flavorful, and it is almost like a pumpkin cheesecake without the work. Homemade Gingersnap cookies are so much tastier than store-bought cookies. Preheat the oven to 350 degrees. Cream together the butter and the sugar until light and fluffy. Stir in the eggs, molasses, and vinegar. Sift together and add the flour, baking soda, ginger, cinnamon, and cloves. Mix all until blended. Form dough into 3/4 inch balls. Bake on a greased cookie sheet for about 12 minutes. Some ovens will vary so adjust time accordingly. they seem awfully sticky-should they be?do I dare flour my hands? You can, you may need to add a little more flour. Sometimes the flour can be more humid than other times. I’m going to have to add some ground red pepper flakes; I like mine hot. Really? I have never had red pepper flakes in Ginger Snaps. I bet that owuld be interesting. I’d try 350; ovens vary so much anyway. You can stick them back in if they are too raw.